EDINBURG — UTRGV volleyball player Ragni Knudsen was almost a setter. To understand what that means, it would be like saying New England Patriots quarterback Tom Brady was almost a punter. Knudsen, the 5-foot-11 outside hitter from Myre, Norway, grew up in a household where her older sister was a setter and her mom was a setter. Therefore, she was all set to follow in those footsteps. Knudsen, however, stood firm (and went through a growth spurt), winning her role at hitter — and the volleyball world is that much better for it. The UTRGV volleyball team has three regular-season matches left this season, all at home beginning tonight at 7 at the UTRGV Fieldhouse against California Baptist. 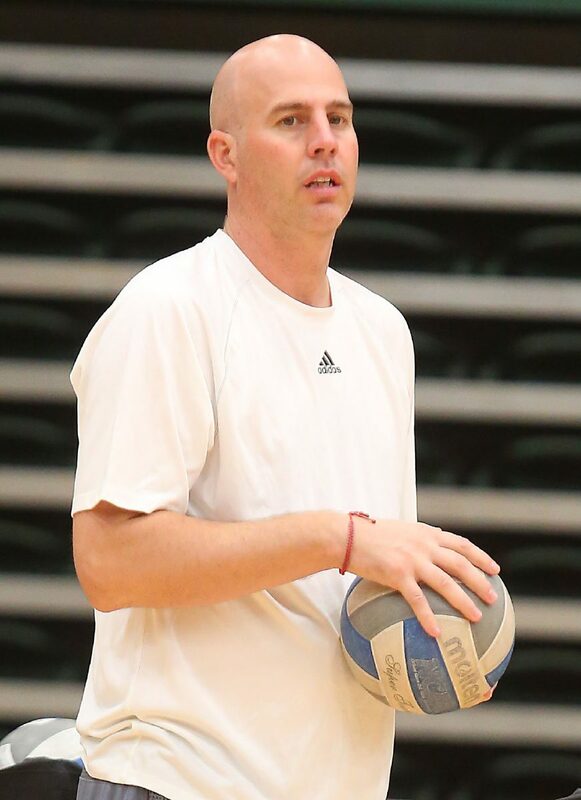 Todd Lowery, University of Texas Rio Grande Valley head volleyball coach, runs practice, Wednesday, Nov. 7, 2018, in Edinburg. UTRGV has three games remaining, all at home beginning tonight at 7, and is focused on winning the WAC regular season championship. Knudsen is the leading hitter for the Vaqueros, and widely considered the next player of the year in the Western Athletic Conference, an award many think she should have won last year. She has amassed 358 kills this year in leading UTRGV to sole possession of first place in the WAC standings with just three matches remaining, all at home. The first of those three matches will take place at 7 tonight against California Baptist (19-8 overall, 9-5 in the WAC). UTRGV won the first matchup of the season between the two squads, dropping the first set before sweeping the next three. Knudsen led the team with 17 kills in the four set match. That’s what she’s been doing ever since UTRGV started recruiting her. She spent her first year at a junior college before arriving at UTRGV. “I love playing here. I’m glad I came here,” Knudsen said. Knudsen is one of six seniors on the team who are playing in their final stretch. They leave with many memories, including elevating the program and collecting wins over ranked teams including Baylor (twice) and winning the WAC tournament championship two years ago to make the NCAA tournament and a matchup with No. 1 ranked Texas. “These girls and the staff have worked hard to elevate this program and take it to a next step,” said coach Todd Lowery, in his fifth year at the helm. Lowery said the Vaqueros lost six or seven matches two years ago where the were outscored by 10 points or less. Two years ago, UTRGV made its volleyball presence known by winning the WAC Tournament and claiming the automatic bid to the NCAA tournament, where it fell to Texas. This year, however, he said the team has taken its program to another level. The WAC has as well, being ranked No. 26 in regards to a power conference last season and climbing to No. 11 this year. Of course, Knudsen has played a huge role in helping get the team to that level. 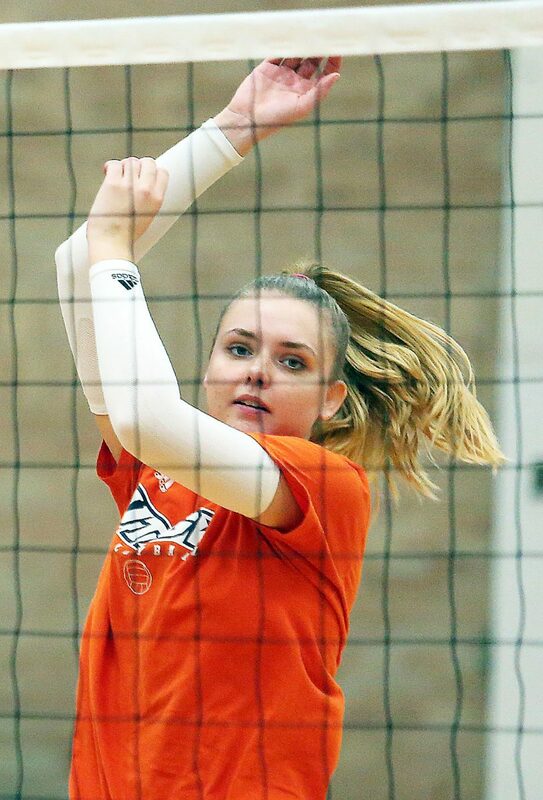 Her parents coached at an elite level, right under the national team in Norway, so the International Business major has been around volleyball all here life. Following tonight’s game at the UTRGV Fieldhouse, the Vaqueros will return to action Nov. 15 against Chi-cago State and then against Kansas City on Nov. 17. The Vaqueros defeated Kansas City earlier in the year and that match could determine the WAC conference champion. Kansas City is currently a half game behind UTRGV in the standings but has two game this week to just one for UTRGV.